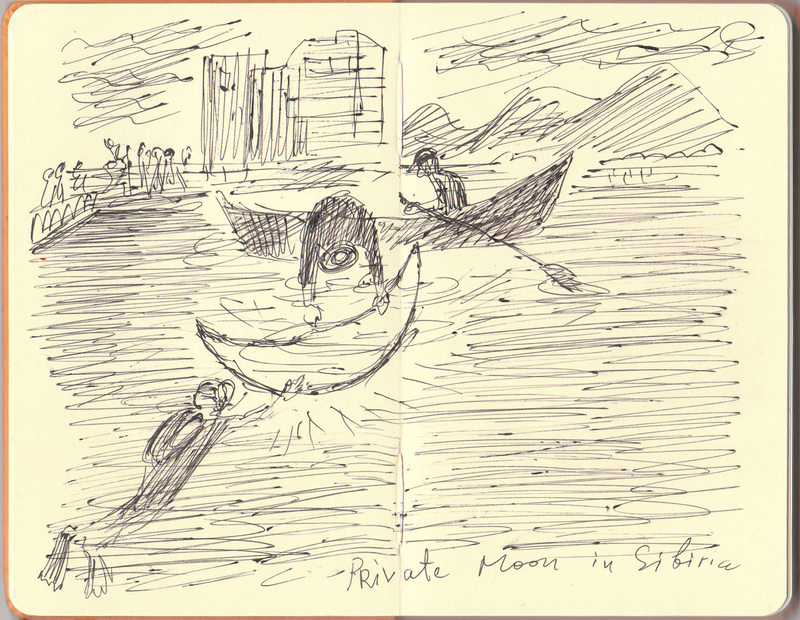 Drawing of the Private Moon' project's performance in Enisey river. Siberia, Russia. Series of drawings for Private moon's project.